Senator Mike Shirkey, R-Clarklake, appeared on Radio Free Hillsdale to discuss the state budget priorities including road and school funding; recreational marijuana and Medicaid workforce engagement. 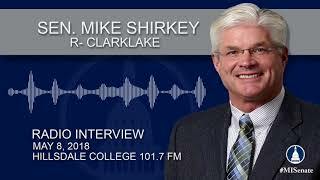 Senator Mike Shirkey, R-Clarklake, appeared on Radio Free Hillsdale to discuss the legislature’s marijuana bills, right-to-work, car insurance costs and other issues facing the state. Senator Mike Shirkey, R-Clarklake, appeared on Radio Free Hillsdale to discuss his proposed Medicaid workforce engagement bill and other issues. 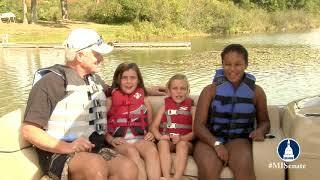 Senator Mike Shirkey, R-Clarklake, reminds everyone to be safe when out on the boat on the lake or river this summer!